Regional Associate Dawn Neighbors recently conducted a grant recipient site visit with the City of Eden. The city was the recipient of a $25,000 grant from the Rockingham County Community Foundation and Duke Energy’s Dan River Basin grant program. 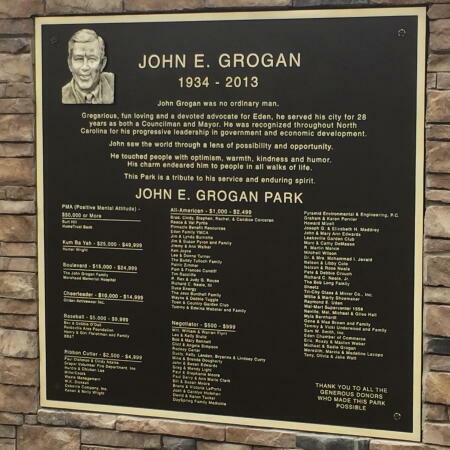 The grant, under the program focus areas of community beautification and environmental education, was designated to develop the John E. Grogan Park Environmental Nature Walk. Michael Dougherty, director of economic development for the City of Eden, facilitated the tour of the park. The park is located on the grounds of the municipal buildings for the city and is in honor of their former councilman and mayor. There are a wide and unusual variety of trees and plants in this park and the City of Eden will soon install kiosks, which will help visitors identify the variety of flora and fauna in the park and surrounding area. 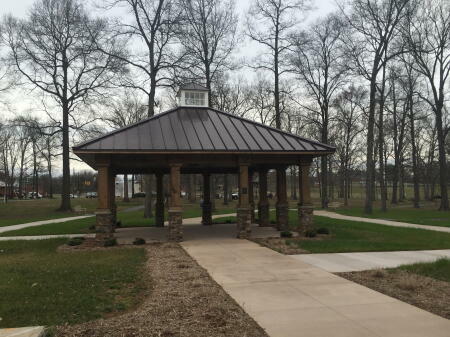 The park has a gazebo and paved areas suitable for meetings, weddings and more, as well as benches along a fine gravel walkway throughout the park. The walkway and kiosks were paid for in part by the generous grant from Rockingham County Community Foundation and Duke Energy. 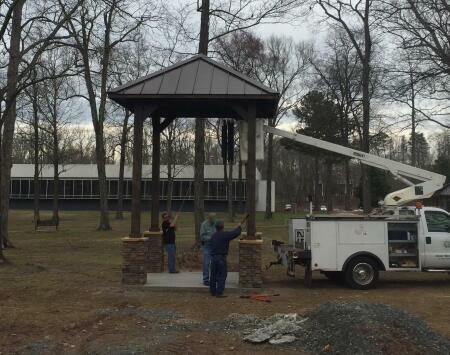 In the second picture, you can see the windchime feature being installed. When complete, this structure will hold several windchimes in a variety of heights, tones, and earthy colors to provide a meditative and peaceful feature to the park. 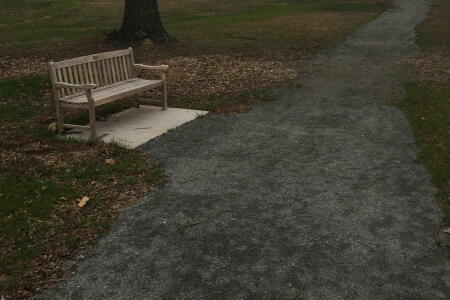 Picnic tables are also located throughout the park which makes Grogan Park a convenient location for residents and visitors alike to have lunch, walk or just enjoy a moment of serenity.